KU TPE students pay the tuition and housing costs (if applicable) established each year by the University of Kansas. Qualified KU TPE students may be able to obtain some types of federal financial aid. Saving for college? Check out information about ABLE Accounts! Estimated tuition and fees are based on 6 credit hours per semester and 2018-19 University of Kansas tuition rates are outlined below. *Tuition and fees are determined annually by the University of Kansas and are subject to change. KU TPE charges an annual program fee of approximately $6,000 based on six credit hours. Costs for on-campus housing through KU Housing are estimated at $6,500-$14,500 per year, based on KU Housing rates and meal plan choices. Federal Direct Student Loans and PLUS Loans are not available. 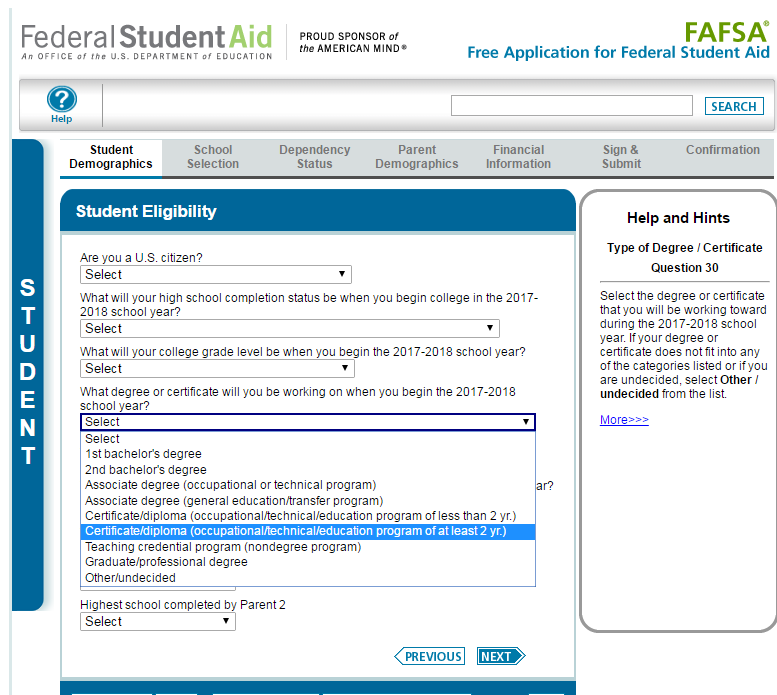 Students and their families must complete the Free Application for Federal Student Aid (FAFSA) in order to determine financial aid eligibility. Make sure to check the box for Work Study while applying. The FAFSA application opens in early October each year. Keep up with the latest information about financial aid by watching the KU Financial Aid & Scholarships website. December 1 is the priority deadline for applying for financial aid for the 2019-20 school year. *IMPORTANT*: The FAFSA will ask, What degree or certificate will you be working on when you begin the 2019-2020 school year? See the Resources page for information on scholarships.